Most people are aware that Preparation H is an over-the-counter medication that reduces pain and swelling associated with hemorrhoids. BUT...did you know it has other uses as well? Discover the amazing qualities of Preparation H.
Only in Canada eh! That's right, the original Preparation H with Biodyne is available from Canada and can be ordered online here. In the mid-1970s, cosmetic scientist Dr. Ronald DiSalvo was having lunch with a colleague when she pulled out a tube of Preparation H™ and started applying it to her eyes. Aghast, DiSalvo asked: “Why are you using a hemorrhoid product on your face?” The woman explained that it was a trick long used by Hollywood makeup experts to briefly plump up the skin of actors and remove the telltale traces of a hangover, cigarette smoking, or exhaustion. DiSalvo was fascinated. He soon discovered that one of the ingredients in Preparation H™ was called skin respiratory factor (SRF), which was used to increase oxygen intake and soothe inflamed tissue (Subramanyam 1984). The result? 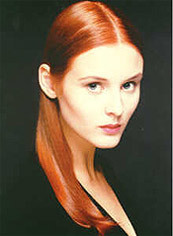 A fuller, softer, and smoother look. Agents that boost oxygen consumption are also known to accelerate wound healing through collagen formation. Research shows that SRF influences oxygen consumption on the part of fibroblasts, the connective tissue cells that manufacture collagen (Goodson 1976). Some scientists suggest that SRF can help stimulate your skin to create new collagen and plump up your skin mattress. Kim Kardashian - Biggest reality TV star in the world has her makeup artist Mario Dedivanovic tighten up her face using Preparation H for her wrinkles. Read more about her beauty secrets using Prep H here. Sanda Bullock - Hollywood American actress and producer from such movies as Miss Congeniality, The Proposal and The Blind Side uses Prep H to tighten up her face. Read more about her beauty regime using Preparation H here. Models and make-up artists use it! Glamour Magazine reported that Miss USA contestants used the product to smooth their skin. contestants using it to reduce cellulite on their thighs. 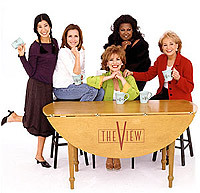 The View ran a Make-up Tricks of the Trade segment that included the wonders of Preparation H.
We were surprised when a bodybuilder ordered Prep H.
He used it as a skin cream prior to a competition. Apparently it helped tighten muscles. 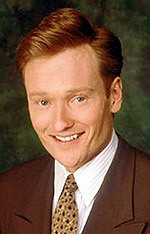 When talk show host Conan O'Brien expressed concern about the bags under his eyes his makeup artist told him not to worry and proceeded to apply cream on his face. Within half an hour the bags were gone. Conan thought it was an old family secret recipe. After some prodding Andrea finally told him it was Preparation H that she had been using. says "Surprisingly, it really does work for puffy eyes." The original Preparation H formula includes a yeast derivative. When the other amazing uses of the product became known, the FDA said prove it. The manufactures decided not to do the required research. After all that's not why they made this product. So the yeast derivative was removed in the United States, but not in Canada. That's right, the Preparation H product the models, make-up artists and Conan use is made only in Canada.